A staggering vibrato of life. Music has the power to change our life; this is the theme of Bauddhayan Mukherji’s second movie "The Violin Player". After getting mixed reviews from viewers and critics for his debut film "Teenkahon" (The Three Obsessions), he collaborates with Ritwik Chakraborty and Adil Hussain for his Hindi feature film, and he doesn’t disappoint. 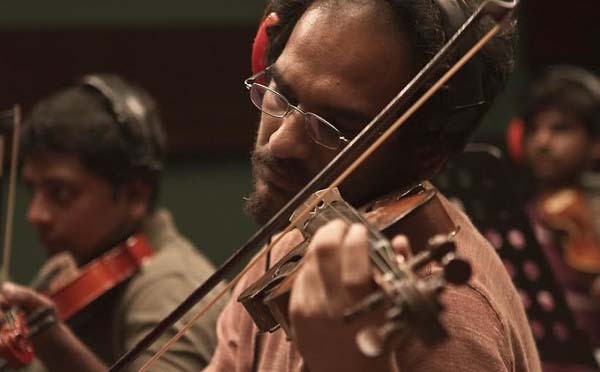 The film revolves around the life of a struggling violinist, played by Ritwik Chakraborty, who is enduring a tough time finding jobs in the music industry in Mumbai. So, he spends most of his time at his house reading newspapers and killing cockroaches, while his wife leaves for work. Even in the sessions where he gets to play at, he looks fatigued and disinterested among the other musicians, lost in the sea of struggling violinists. One such day, while returning home, a mysterious man, played by Adil Hussain approaches him to play violin for him. The violinist just couldn’t avoid his cold and stern attire and reluctantly agrees to his proposal. He then follows the man to his preferred destination and as time passes; the story becomes more gripping by revealing some shocking truths and intense situations, as the violinist continuously struggles to make peace between his existing life and his long lost passion for music. Bauddhayan Mukherji creates a very dark story which points a finger at the ever degrading side of our society; he shows what it’s like to be an artist who is in a constant duel with himself to find expression for his music. The film asks all the important questions about life. Mukherji built the film around the character played by Chakraborty. This becomes evident as the slow first half of the film quickly turns into an edgy, compelling storyline, perfectly synchronizing with the emotional rollercoaster of which the violinist goes, throughout the latter part of the film. Though shot on a shoestring budget, the detailing of the film has been commendable. Cinematographer Aveek Mukhopadhyay expertly captures the Mumbai outskirts life, giving us the opportunity to zoom into its heart and the lives of the people who get overshadowed by the glamorous outer layer of the city. In a film which has very little dialogues, the frequent close ups, with the help of appropriate lighting, perfectly reflect the characters' emotions and facial expressions. Art director Sachin Bhilare collaborates wonderfully with Aveek Mukhopadhyay to create a gloomy, damp atmosphere, with minimal lighting to help the film give a monotonous look which effectively matches the characters moods. As the name suggests, the music department clearly carries a lot of responsibility in this film and they deliver it beautifully too. To keep the film as real as possible there is no notable background score in this film. But, there is one haunting violin piece composed by Arnab Chakraborty and Bhaskar Dutta, which is the soul of the movie. A film which has minimal dialogue deliveries between the characters demands a lot from its actors. Ritwik Chakraborty does an outstanding job as a failed violinist going through an emotional storm. 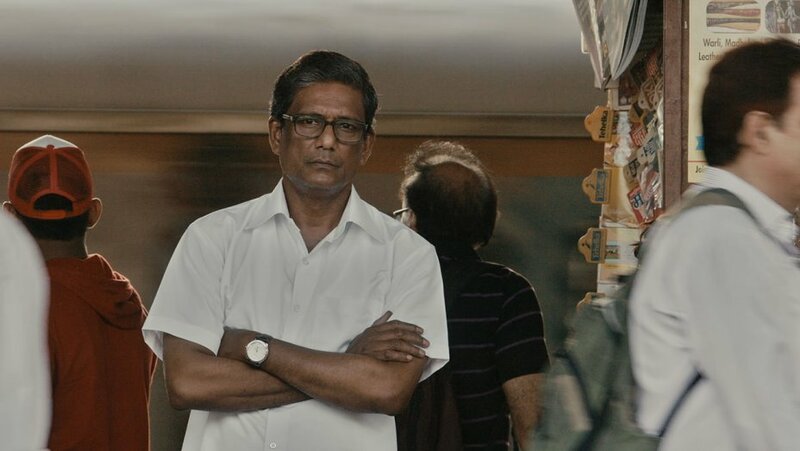 Adil Hussain, another highly admired actor in India, again proves his worth by playing the character of a mysterious man, who is actually the catalyst of the movie, the one who changes the motif of the story. His stern gaze and reticent personality makes the atmosphere extremely uncomfortable for Chakraborty’s character. Nayani Dixit and Sonam Stobgais also play a vital role, but it’s better to be left as a surprise. The film has separate endings, leaving it open for various interpretations. "The Violin Player" received critical acclaim for its compelling story line and masterful acting, and rightly so. Definitely one of the better movies to come out of India in 2016.